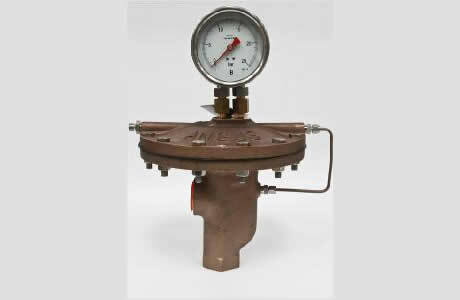 Angus Balance Valves are used with Balanced Pressure Proportioners BPPs. Balance Valves provide a reliable and cost-effective way of ensuring Balanced Pressure Foam Proportioners perform accurately over a range of flows and pressures. They do this by balancing the pressure of the foam concentrate entering the proportioner with the pressure of the water at the inlet. Available in three sizes dependent upon the required foam concentrate flow, they are compatible with the full range of Angus Balanced Pressure Foam Proportioners (BPPs) and a duplex pressure gauge, fitted as standard, gives visual confirmation that the unit is functioning correctly. In order to select the correct balance valve it is necessary to have full performance details of the concentrate pump. The minimum overpressure the concentrate pump will supply (recommended minimum 1 bar g), at the maximum foam flow, is superimposed on the graph overleaf. The balance valve curve to the right of the operating point will be the minimum size suitable for the application. Angus can supply a comprehensive range of fully-compatible foam concentrate pumps. The modular construction of the Balance Valves and BPPs allow the engineer to select the individual components which are best suited to a particular application. 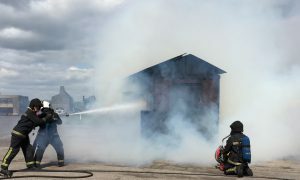 However, Angus can also offer a range of fully-assembled, selfcontained skid units comprising BPP, balance valve, foam pump and all necessary ancillary equipment, along with foam concentrate tanks and auxiliary power units – all available in modular form for maximum flexibility. Full details on request. Also refer to Data Sheet 5042- Balanced Pressure Foam Proportioners.